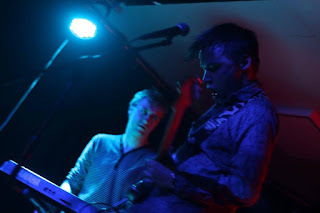 The tenth and final installment of the year from the unmissable Manchester psychedelic experience, Astral Elevator featured The Jungfraus launching their second album. Liam Hart went along to catch a band he's formed a special bond with. Now, if you have gone through the whole of 2015 and have not heard of Astral Elevator, what have you been doing with yourself? Consistently throughout the year the mystical Le has hosted the best and brightest bands from all over the UK and Ireland, and the rest of the world. 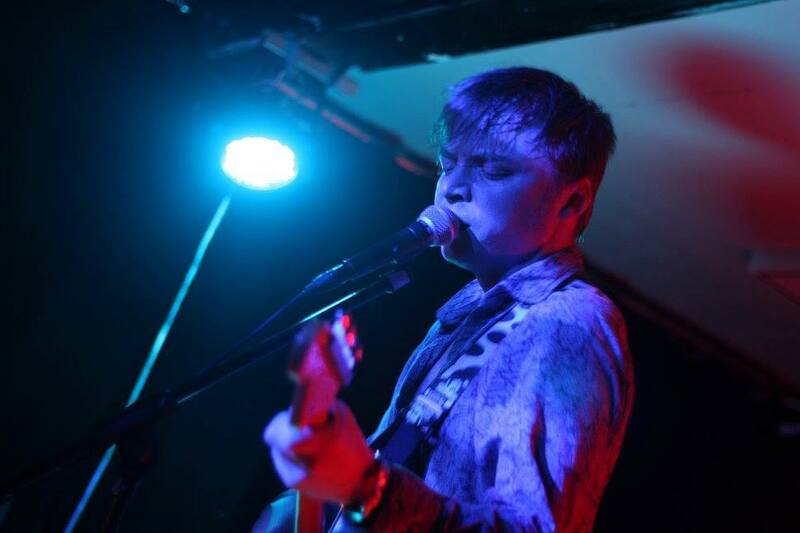 From Manchester heroes Purple Heart Parade, to emerging European talent such as Dubliners This Other Kingdom and the Portuguese 10,000 Russos; Astral Elevator has been at the centre of the ever impressive Manchester music scene. If a New Year's resolution is a thing, then you need to resolve to be at Astral Elevator eleven in 2016. Tonight is a special Astral Elevator, not just because it is the last show of the year; it is also The Jungfraus' second album launch party. The venue is the hidden gem, Aatma formerly Kraak, located down a side street not far from Stevenson Square in Manchester’s Northern Quarter. The Jungfraus first album was released in 2013, however it has taken me at least a year to discover these guys, even though we derive from the same town! Highlighting the high degree of musical talent which is coming out of East Manchester at this moment in time. I first discovered the Jungfraus at Astral Elevator four earlier in the year, coincidently, this is also where I discovered This Other Kingdom, further highlighting how important Astral Elevator is at bringing hidden talent into the Manchester spotlight. Anyhow, since discovering them, I have had the good fortune of spending a great deal of time with the unforgettable frontman Mick Kenyon. Energetic, intelligent, yet enigmatic and mysterious at times, Mick always leaves me guessing. However, it is evident to see that Mick loves music. Since hearing the Jungfraus I have fallen in love with one track in particular, the track being One Shade Of Green. Set to be released on their second album, I have been eager to hear it live once more. Before the Jungfraus took the stage I saw Mick scribbling down the setlist, I wondered whether they would satisfy my lust for this song. I was not disappointed as the synth drones and the drums kick in; One Shade Of Green is a perfect opener. Crucial to this song is the captivating guitar lick. Once heard, never forgotten, always on my mind and I cannot stop whistling it. It is reminiscent of some of the greatest and memorable rock and roll licks. The Jungfraus are a fusion of psychedelia, rock and roll and pop. The pop influence mainly seems to derive from the synth; I cannot help hearing influences from the likes of David Bowie at his height. However, that doesn’t fully describe how their music is composed. I believe that some of the best music journalists would struggle to describe what kind of music the Jungfraus are exactly, therefore, I am not going to. The Jungfraus are their own genre. The set on a whole was fantastic, showcasing two tracks from the second album which I believe will be named after the famous studio and music venue, Kraak. The Jungfraus, like many other quality Manchester bands practice here. To name but a few, Freakout Honey and Purple Heart Parade still practice here. Kraak, now Aatma is a musical haven and it is clear to see why the Jungfraus have dedicated their album name to this place. They, like many other bands have spent years cultivating and practicing their sound here. There is no doubt that the Jungfraus have had many memories here; their second album is a culmination of these memories and their journey over the last two years. Speaking with Mick once more, we spoke about how music develops, and how the Jungfraus have came to this point. We both were not able to specifically define how music develops, sometimes it just happens when you are surrounded by a good bunch of creative individuals. Although we agreed that sometimes music is like a wheel. All that is needed is for someone to give it a nudge from time to time, then stand back and watch it roll. While we spoke about the two years since the release of their debut album, it is evident that the Jungfraus have been through some tough times and changes. Once a five piece they are now four. This is always a difficult time for a band, especially when a band member leaves who is also a great friend. I have experienced this personally and can attest to this. Many bands do not survive lineup changes, furthermore if they do survive, things generally are not the same. However, the Jungfraus if anything are more refined. In hard times like those, you do what you can. The Jungfraus have persevered through difficulty and are flourishing. I wish the Jungfraus all the best with the second album, good luck. Thanks to Le at Astral Elevator for use of the pictures. Astral Elevator are on Facebook and Twitter.